In this innovative format, 15 of the World’s Top pilots from 11 different countries, will compete face to face to see who is the most technical and daring pilot of the competition. The Acro GAME 2018 will take place in the town of Organyà, which has now become the global epicenter of this sport thanks to its optimum weather conditions and well known magic mountain. 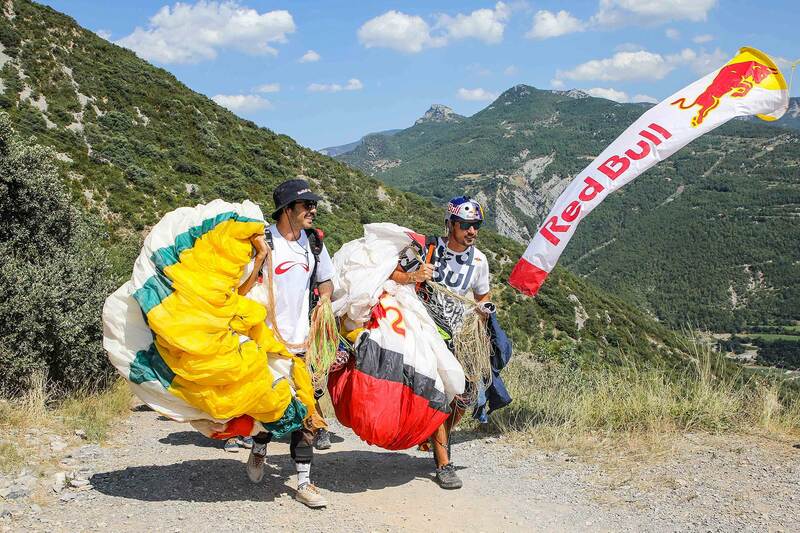 The particularity of Acrobatic Paragliding is the large number of maneuvers and moves that a wing and its pilot are able to do in the air, more than 50 are now recorded. The pilot can reach high speeds of more than 100km/h and a centrifugal force of 6G in certain maneuvers. 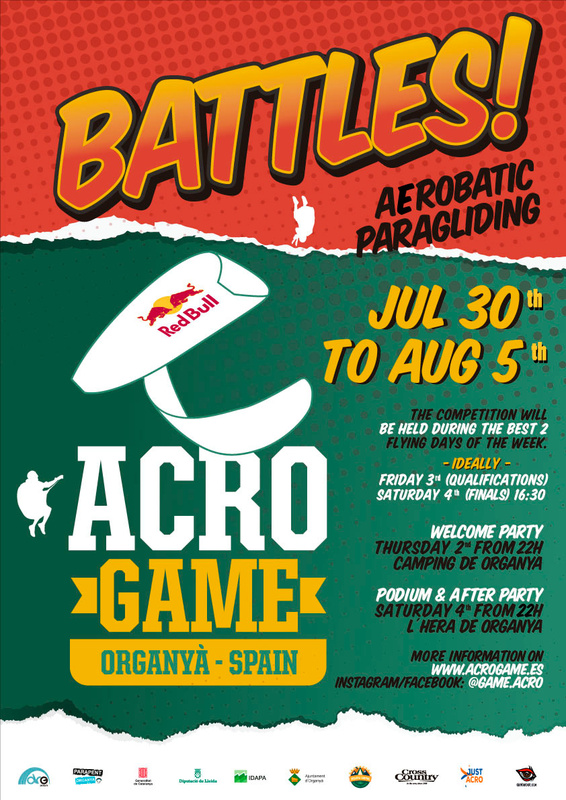 The format of Acro GAME is based on a first round qualifying, where the 15 pilots will face each other. Only the 8 best will make it through to the final, on the next day. The 8 finalists will compete in pairs, both pilots will have to perform the same trick. If one of them is not able to fly it flawlessly, he will receive a letter from the word A C R O. When the A C R O is completed, the pilot will be eliminated from the competition and the winner will move to the next round. Dates: From July 30th to August 5th. Preferably Friday 3rd (Qualifying Events) and Saturday 4th (Finals) at 4:30pm. Welcome Party on Thursday the 2nd from 10pm on at Camping d’Organyà. The Podium and After Party will take place on Saturday the 4th from 10pm at L’Hera d’Organyà.